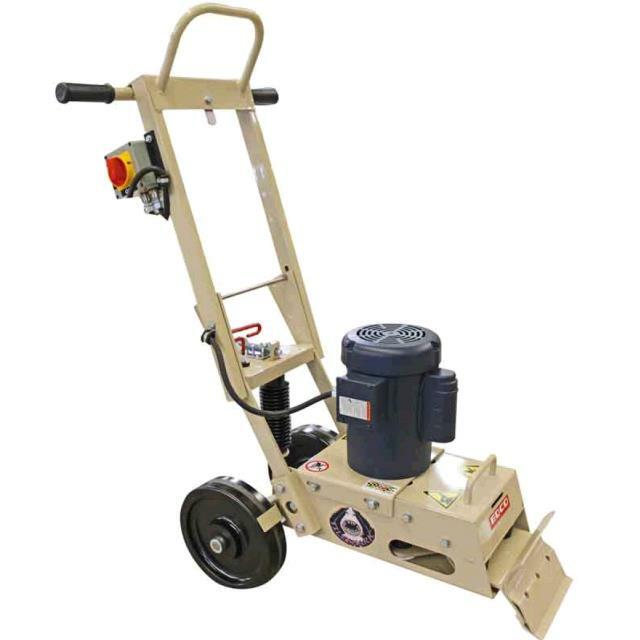 Push plate and built-in weight make material removal a quick & easy job. Multiple position handle folds to 20" to easily fit into a car trunk. Heavy duty Steel deflector shield. Belt driven oscillating blade system. Heavy duty flexible rubber isolators for smooth operation. Quick release pin for blade angle adjustment. Large, Non-Stick plastic wheels for easy cleanup of machine. 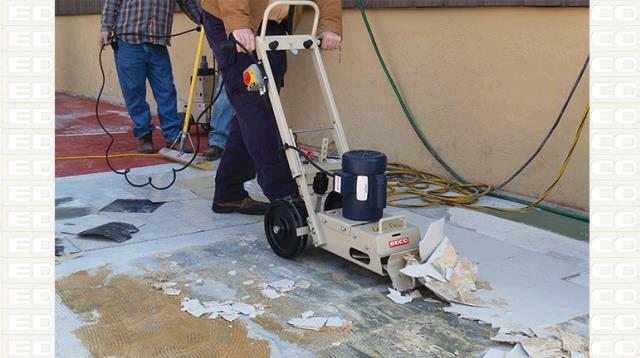 * Please call us with any questions about our tile stripper edco el. walk rentals in Oak Grove MO, Blue Springs MO, Independence MO, Lexington MO, Odessa MO, Independence MO and Western Missouri.